All subsequent Lelung incarnations are recognized as manifestations of one of the three most important incarnations of Tibet (Pokyi Tulku Nam Sum). Avalokitesvara, Manjushri and Vajrapani are the three most important Bodhisattvas and Lelung Rinpoche is considered the representative incarnation of Vajrapani. The lineage of Lelungs are very close to the Dalai Lama. Interested in Chöd: His predecessors have written countless practice texts and commentaries – including texts from the Bhagavati single Tröma Nagmo. In his eulogy “To the Praise of Dependent arising”, Tsongkhapa expresses in poetic form his extraordinary appreciation that the Buddha was kind enough to teach the doctrine of dependent arising/emptiness that possesses all these extraordinary qualities. The course also offers the opportunity to meditate and reflect together. (We hope that H.E. 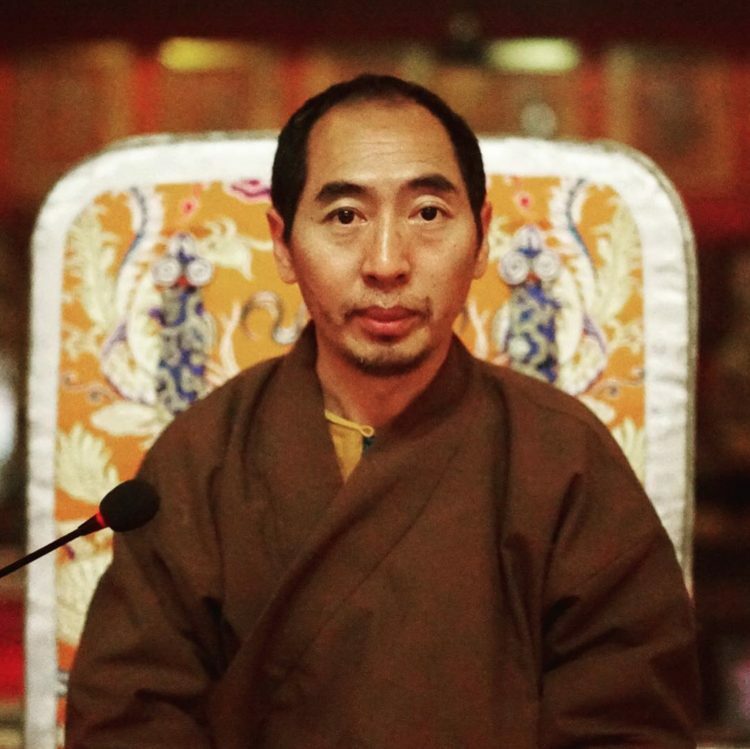 Lelung Rinpoche will not have to travel to China at short notice during this time – the probability is very small – but he asked us to inform him of this in the announcement).